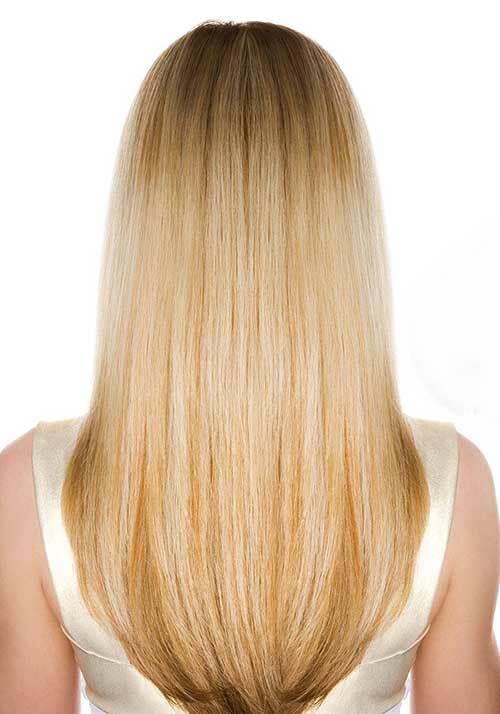 If you’re blessed with lovely long locks then it’s so important that you show them off properly! 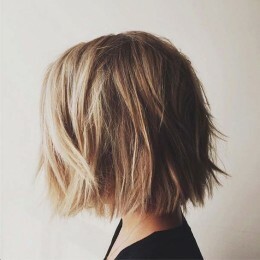 With beautiful long hair there are so many different hairstyles you can work into your look, and so many different ways you can style it to truly bring your look to life! This utterly gorgeous style has well and truly stolen our hearts. 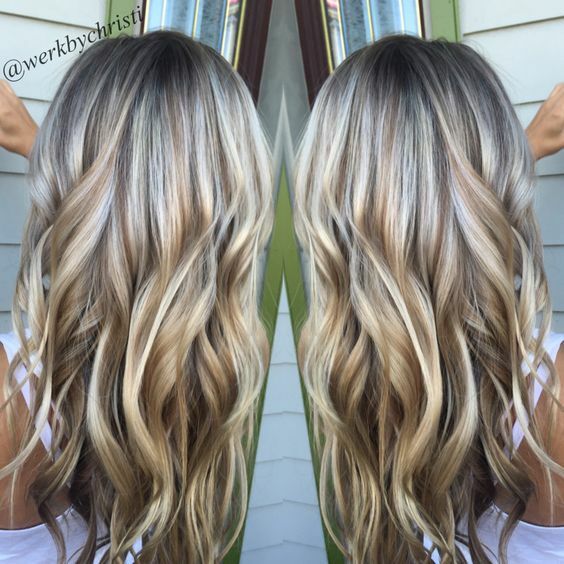 This striking look shows off her brown to blonde ombre locks to perfection. Work loose curls throughout your hair, and then sweep the front section of hair back from the face, fastening in a wonderful high half up half down ponytail. Wrap a section of hair around the ponytail to hide the hair tie. 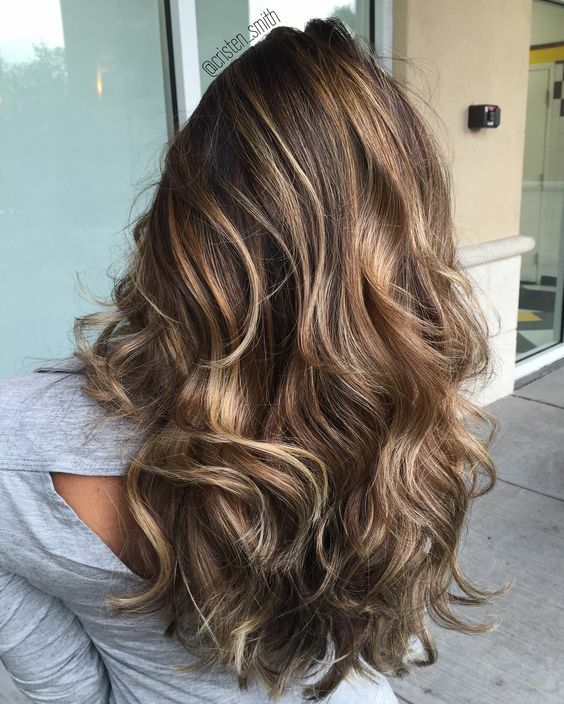 This stunning brown and blonde highlighted hairstyle has well and truly stolen our hearts! This lady has created a gorgeous pinned hairstyle which is simple to recreate. 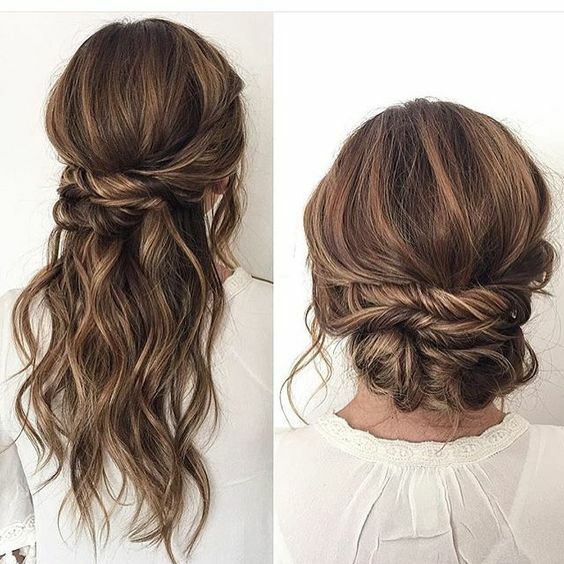 Add loose curls throughout, and then with the front side sections of hair, twist them around and pin them on either side of the head for this braided half up half down effect. Twist sections of the length of your hair up and pin them under for this finished effect. 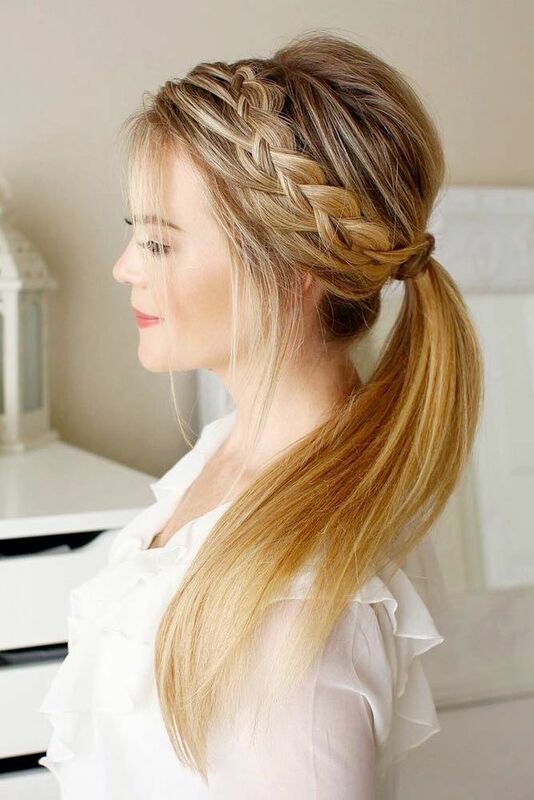 Sometimes the most simple of hairstyles is the most effective – especially when you’re blessed with luscious long hair. 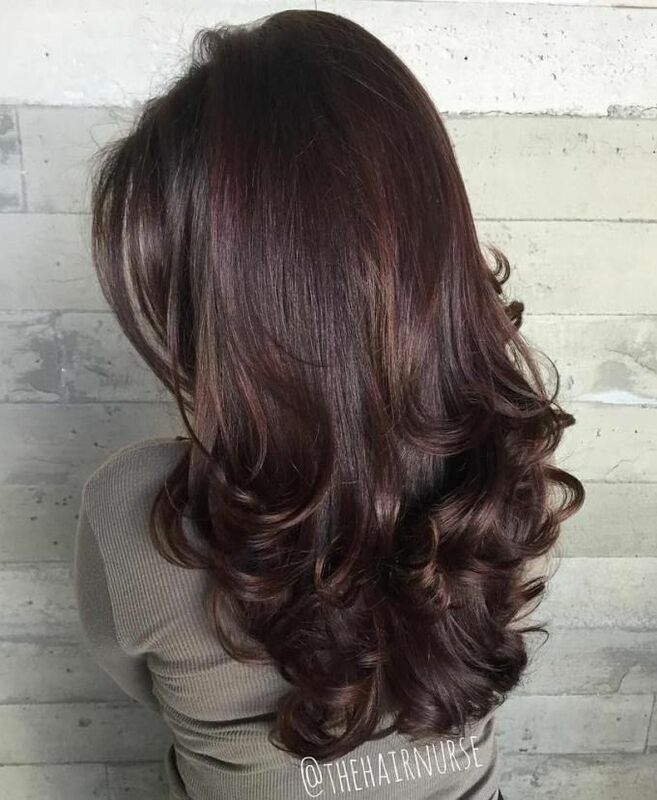 This lady has the most beautiful dark brown hair which is glossy and thick, and she’s chosen to show it off by adding a curl to the ends, creating a bouncy and voluminous finish we can’t stop swooning over. This lady has brought her stunning hairstyle to life with a beautiful loose style full of ringlets. 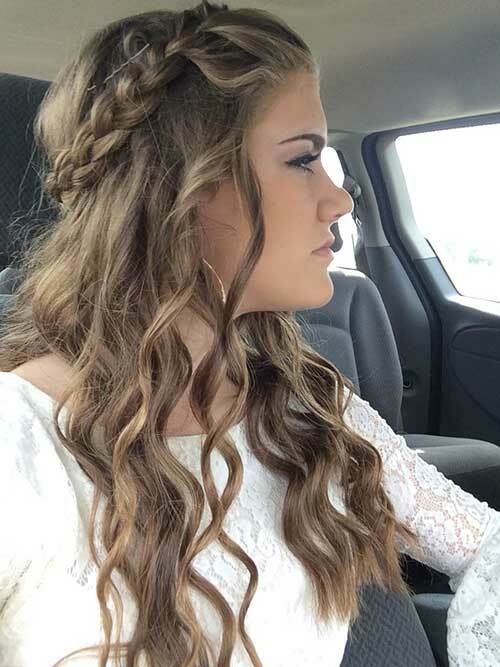 Her gorgeous dark brown hair is absolutely full of blonde and caramel highlights, which is showed off perfectly thanks to the curls ffrom top to bottom through every layer. 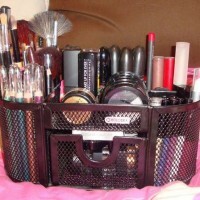 We love this finished style! 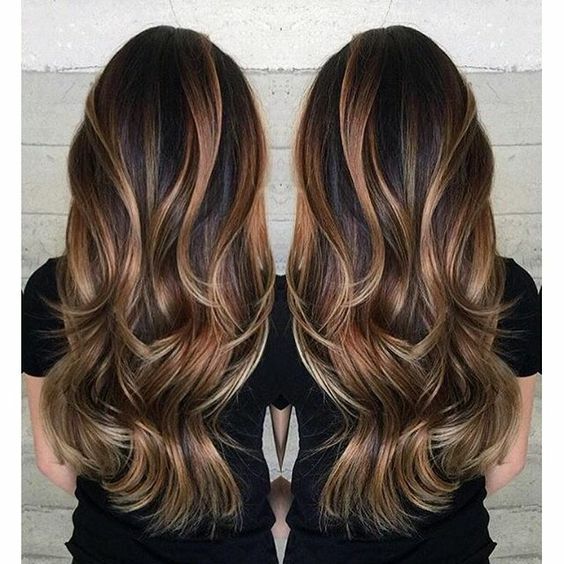 This beautiful hairstyle blends from a rich chocolate brown through to a copper shade and then finished with lovely golden ends, all blended through the incredible ombre transition. To bring these long locks to life, this stylish lady has worked big barrel curls throughout the ends, flicking them out for a fancy and fantastic end result. This stunning bright blonde hairstyle is full of subtle brown streaks, adding the most beautiful depth to the style. The hair falls a few inches below the shoulder and has been worked with gorgeous curls from top to bottom adding a lovely lift to the look. 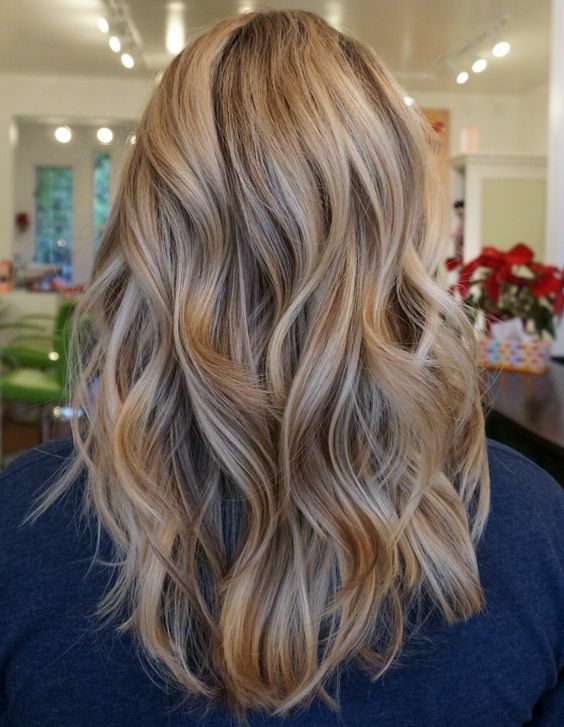 This stunning lady is blessed with beautiful bright blonde hair – and she’s chosen remarkable curls to finish the look off and show these colours at work! 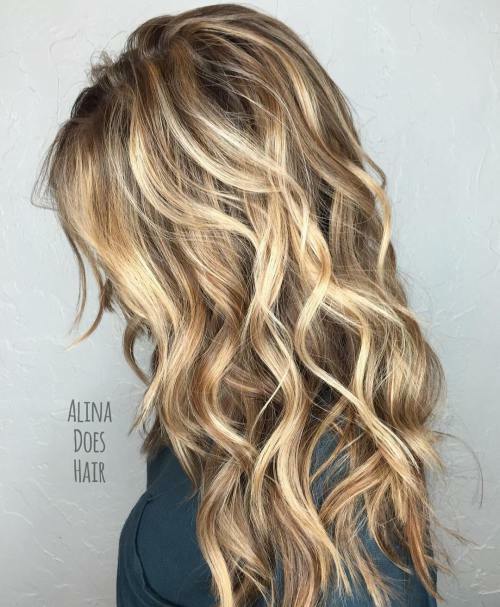 A collection of impeccable blonde hues are woven throughout the hair through highlights from top to bottom, and she’s curled the locks throughout. 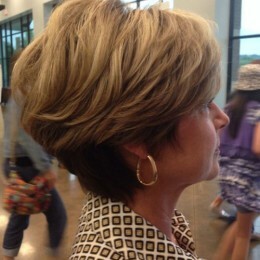 This beautiful hairstyle is absolutely full to the brim of bounce and volume. Her wonderful caramel hair has been worked with loose barrel curls throughout. 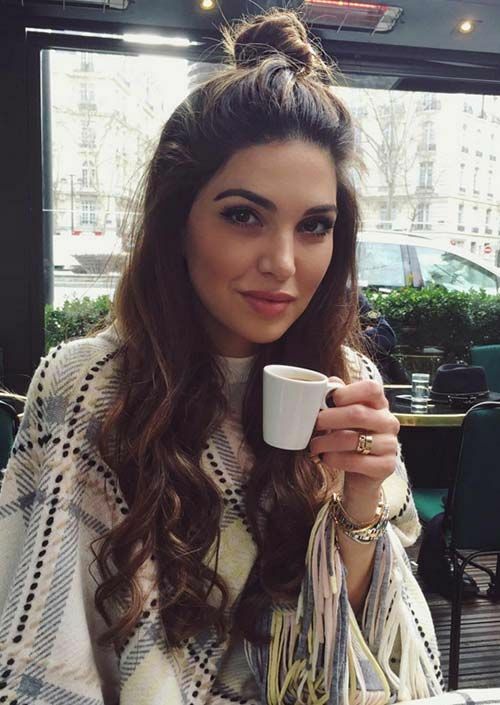 She’s then taken two sections of hair on either side of the head and created thin fishtail braids, gathering them to meet in the middle at the back of the head for a half up half down look. 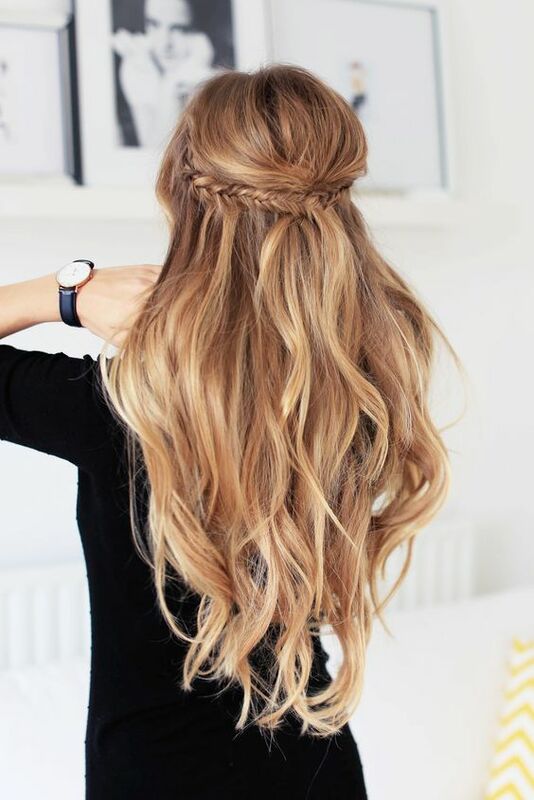 This utterly striking long hairstyle is oh so wonderful – don’t you agree? This lady has showed off her beautiful blonde style by creating two braids at the front of the hair, then using them to wrap around the head and create this half up half down style we can see at work! 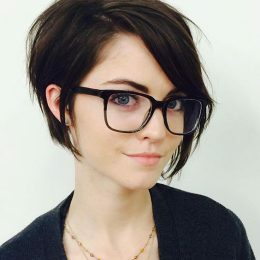 This lovely lady has been blessed with truly beautiful hair! 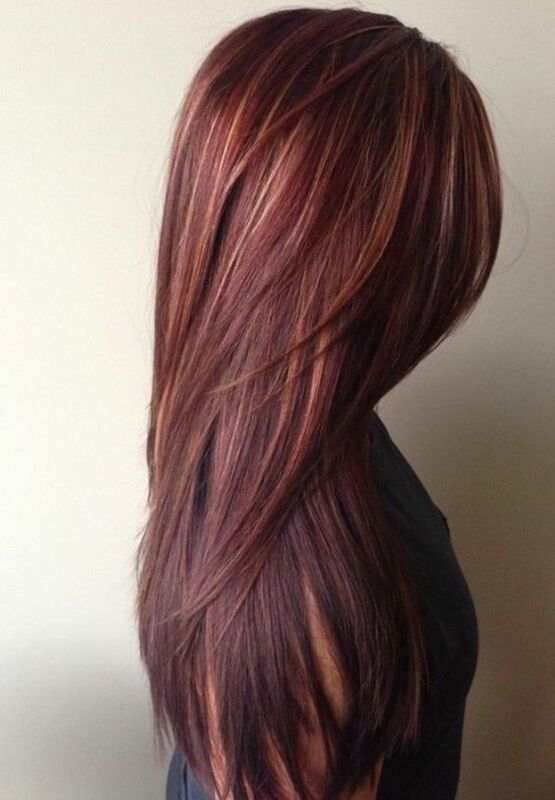 Her gorgeous deep red locks have been scattered with blonde highlights throughout the top of the head, and full of shorter layers throughout for a voluminous finish. 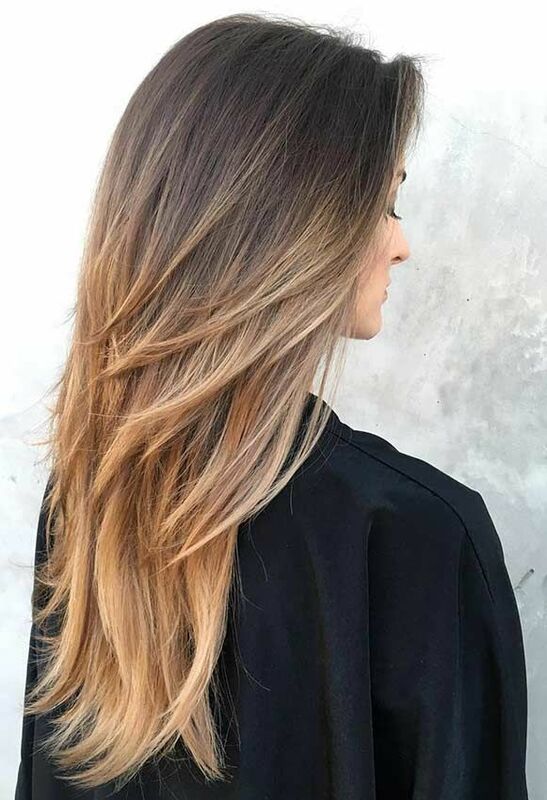 She’s kept the hair lovely and straight to show off the colours at work – and we applaud this decision! 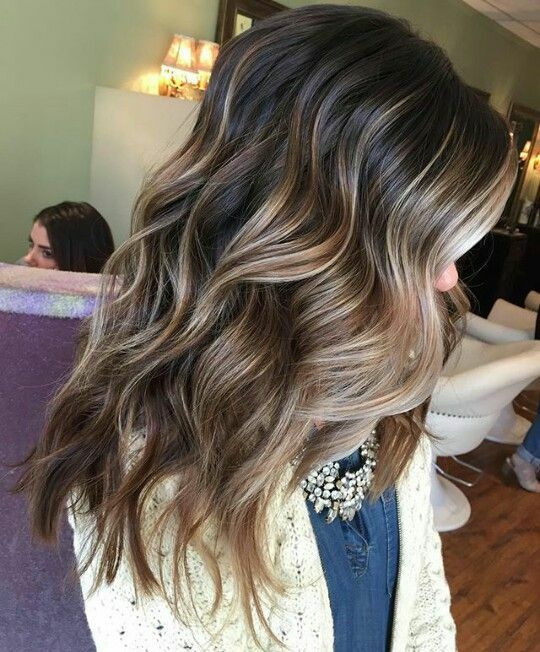 This stunning lady has possibly our favourite hair from this entire gallery – we just can’t get enough of this beautiful balayage blend at work. Starting with a rich down and worked through full of breathtaking blonde sections, we just can’t gt enough. She’s added loose curls throughout to really bring the style to life and we adore it. 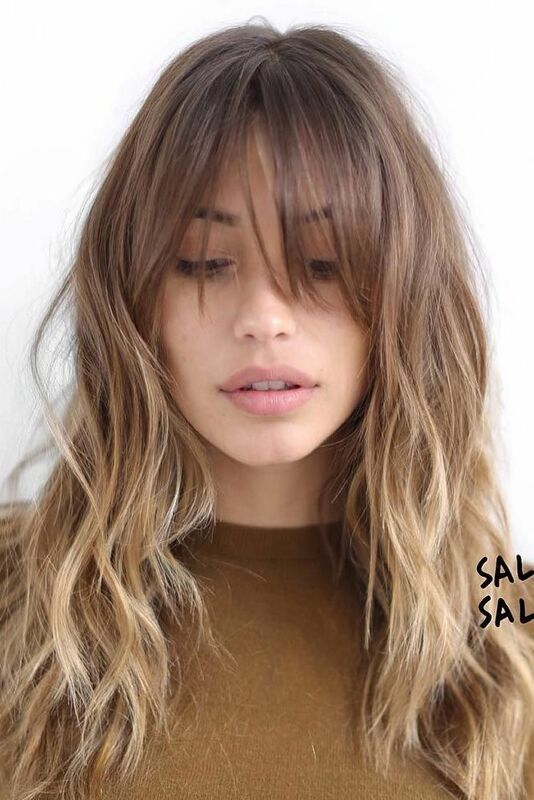 If you’re blessed with long locks – then you should most definitely style one of these fantastic looks and let us know how you get on. Styles Weekly are always striving to bring you the latest hair inspiration, so be sure to let us know what you’d like to see next!